1. 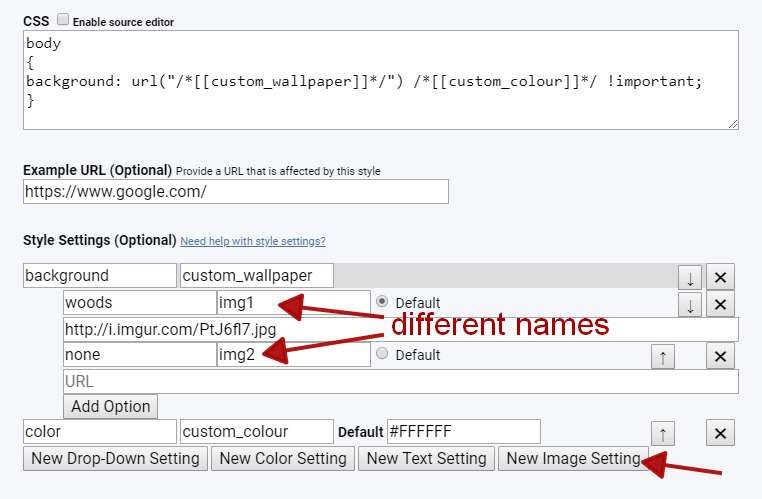 If I want to give custom url as background and set to "none" but always I get an error. How can I achieve url("") effect? "An internal server error (500) has occurred. 3. When I normally update style (without placeholders) I get always "404 error" but style updates. Is it normal? 3. Yes, that's normal. The website is very buggy.